Verslunarmannahelgin is the most eventful weekend in Iceland. There are festivals all over Iceland, this is a weekend where you go out and meet people and have fun, in one way or another. The reason for this is that this is a three – day weekend. The first Monday in August is a holiday dedicated to those who work in trade. Well that’s the original thought. Since this is the biggest travel weekend in Iceland, people who work in shop and service are really busy serving tourists and have no time to take the day off. Everyone else however uses this extra-long weekend to the fullest. The biggest festival, and the best known, is Þjóðhátíð in the Westman Islands. It is one of the oldest festivals of its kind in Iceland, and it’s big. Thousands of people come together at the Westman Islands, wearing wool sweaters and waterproof gear, set up tents, listen to a lot of music, sing, and perhaps enjoy a drink or two. Or ten. It is truly something, all of the people attending are stuck together on the island, since the boat and the planes are usually packed, so no matter how the weather is, everybody makes the best of it. 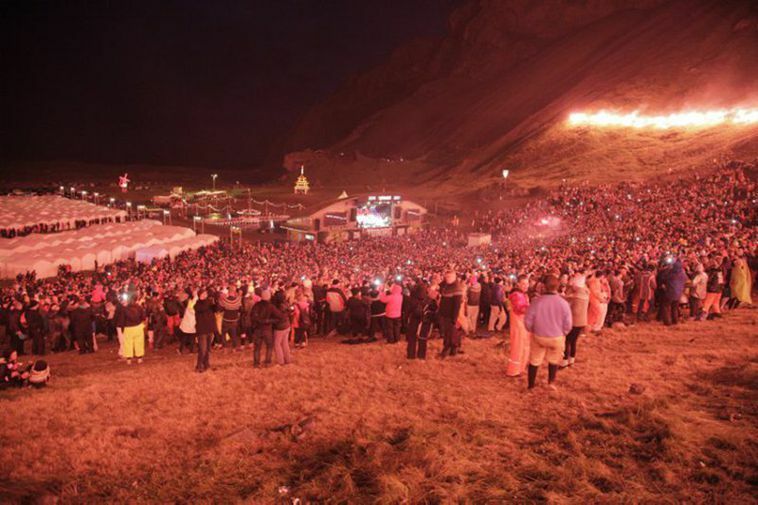 There is a huge bonfire, a sing – a – long concert (a very Icelandic thing to do), as well as normal concerts, and partying from dusk till dawn. Which is saying something, as the night is very short in the beginning of August. Most Icelanders have attended this festivals at some point in their life. Many attend every year, and when they have a family, it comes along. Though the festival is mostly sought by the younger generation, all ages attend. The festival campsites are divided. There is a campsite for loud party people, and another one that is calmer and family friendly.